It was early 1980 and I was the president of our church's Woman's Missionary Union. The year's project was updating the church library. We had, as she called herself, a trained librarian-with a diploma to prove it. She set the parameters for the non-fiction books and soon we had full sets of the best Bible commentaries, different versions of the Bible, biographies and autobiographies of people of faith, everything a well-stocked church library should have. Then came the day I dreaded. The random comments became a recommendation—let's put fiction for women in the library. Children's wholesome, as well as faith-based, fiction was already common in church libraries. This recommendation was revolutionary for our conservative little church. While I've been a reader since words made sense on the page, I concentrated on my preferred genres—mystery/suspense and historical. 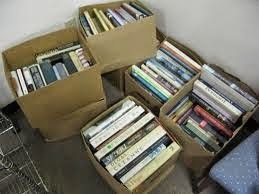 The crates of books next to me gave me pause, but the more ladies who came in, the more boxes came with them. My only request was every fiction book have a bookplate in the front identifying the reader recommending it for the shelves. Leading by example, I plucked a novel from the pile nearest me. The Obsession of Victoria Gracen was surely a title that would be undesirable for our members. The cover didn't suggest otherwise. Patting myself on the back that I could read the first fifteen pages and be done with it before supper, I watched the boxes and crates empty. No one mentioned my lack of stacks going home with me. The opening paragraph was pleasant: "The carriage turned the corner at a cheerful trot, and drew up before the door of a smart brick house in a row of new houses on a little new street. The occupants, one by one alighted on the sidewalk with an air of relief and of duty well done." I was already feeling smug so I identified with the "occupants." Then the author Grace Livingston Hill begins describing her characters—Mrs. Miller "sharp-faced aspiring wife in borrowed mourning,-because, of course, one wouldn't want to wear mourning after the funeral for a mere sister-in-law who left nothing behind but a mortgage and a good-for-nothing son." Don't need the color of her eyes and hair or height to visualize that woman. Mr. Miller—"tall and heavy, with a thick, red neck and a coarse, red face" was easy to visualize, too. The three little Millers were joyful children. How did that happen? Richard, the son of the dead woman, who had married above her station, stepped awkwardly, looked gloomily around him. When Mrs. Hill used the phrase "the sudden death of one who had been near without being particularly dear" I was off my high horse and caring about poor Richard, the misunderstood juvenile delinquent, always in trouble despite his best efforts. His plight worsens and by Chapter II when his aunt, Miss Victoria Gracen is introduced I can't let Richard go this journey alone. Miss Victoria Gracen in her soft lavender challis frock and "her abundant white hair seemed like a violet on a mossy bank, a lovely, lovable human violet." Can't you just picture her sitting in front a cozy fireplace or serving tea. By the requisite 15 pages, I was teary-eyed and sniffling. Jerry reminded me that I didn't have to read the whole thing, just enough to render an opinion. I handed him the book and pointed to the passage that touched my heart. That book snatcher took my book and flipped to the first page, sat down, and began reading. Sure, he can read a 300 page book in two days, but this wasn't science fiction or western, and he didn't read romances. How dare he! The Obsession of Victoria Gracen was written in 1915 and considered a contemporary novel, yet her topic was still very relevant in 1980. I had to read more of her books. A trip to every second-hand book store and thrift shop I could find in and around Austin Texas became routine stops. A call to the library put five books on hold. I drove and Jerry read. I discovered that each of her books included the message of God's salvation through Jesus Christ. Before "Christian Fiction" was introduced later that year, I knew that faith elements would now always be part of my own "wholesome" writing. Grace's A Chautauqua Idyl was published in 1887. She wrote it to earn enough money for a trip to New York's Chautauqua for herself and her family from their home in Florida. She wrote over a hundred books before her death in February 1947. Her last book, Mary Arden, was finished by her daughter, Ruth Livingston Hill. She was well-known for her contributions to The Christian Endeavor Magazine sponsored by the The Young People's Society of Christian Endeavor. She described Endeaver meetings in two of her books Cloudy Jewel and The Girl from Montana. In the Marcia Schyler Trilogy—Marcia Schyler, Phoebe Deane, and Miranda, she adapted some of her own family history and did a great deal of time period research and wove tidbits of 1830’s current events into her story. 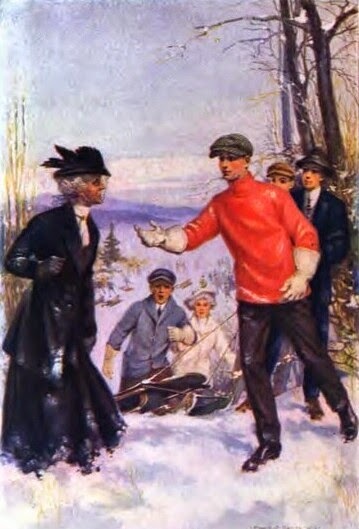 Her cousin-in-law, Edward Lamson Henry, a well-know painter, loaned several of his works to illustrate the first book, including “The First Railway Train on the Mohawk and Hudson.” Visit http://www.elhenry.info/marciaschuyler.htm to see the other painting in the Trilogy. By the way, Jerry has read every Grace I have - which is a copy of everything she's published. His favorites are Christmas Bride, Enchanted Barn, and By Way of the Silverthorns. Who says men can't enjoy a great romance. Grace came from a family of artists and writers. Both parents, Rev. Charles Livingston and Marcia Macdonald Livingston (under the name Mrs. C.M. Livingston) were writers. Better known by her pen name Pansy, Isabella Macdonald Alden was Grace's aunt. Grace's daughters Margaret and Ruth, her grandson Robert were a few of the well-known writers of their day. You may want to join me as I follow Daena Creel's 2015 GLH Reading List. When I read Anne Greene's HH&H post on February 14th about the WACs in World War II - http://www.hhhistory.com/2015/02/wacs-serve-in-world-war-ii.html - it reminded me of the book Grace co-wrote about the events in World War I through the eyes of the women with the Salvation Army. 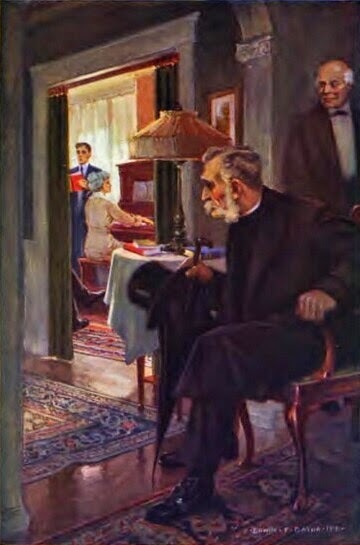 Commissioned by and co-authored with Evangeline Booth, daughter of the founder, William Bramwell Booth, of the Salvation Army, Grace wrote The War Romance of the Salvation Army in 1919. Reading the forewards by Miss Booth and Mrs. Hill is worth the read, and is very inspiring before you even begin the book. After mainly associating red kettles and brown donuts with the Salvation Army, I have a new appreciation for the women who serve as volunteers and officers. The WRSA contains accounts of hard work and perseverance in the face of great physical and mental hardship. True Heroines! You can read a free copy at http://www.gutenberg.org/files/7811/7811-h/7811-h.htm. Have you read any of Grace's 100+ book? What's your favorite? Why? Leave a comment to be entered into the drawing for a $20 gift certificate to buy a Grace or two or three you haven't read yet. Lin lives in Chimney Rock, Colorado and writes in her preferred genres. After this trip down memory lane, there may be a romance novel in her near future. I did a Google search & some of the covers seem very familiar to me. I'm going to have to chase up some of her books. Hi Mary, thanks for dropping by. There is a wholesomeness and sweetness about the books that seems to feed the soul. I'd be interested to know which one you choose to read or re-read first. I've added you to the drawing. Grace was one of the first Christian fiction authors I ever read. Another early author was George MacDonald, a Scottish pastor. I was so excited to finally find a book with a faith message. And then came Janette Oke and Tracie Peterson, and so many more wonderful Christian fiction authors. I'm glad you discovered them too, Lin. Hi Vickie, after I found Grace, I discovered George, too, plus Harold Bell Wright, author of The Shepherd of the Hills, set in Branson, Missouri. I also collected as many of Harold's and George's as I could find. Harold is credited with being the first American writer to sell a million copies of a fiction novel and the first to make $1 million from writing fiction. Hope springs eternal!! Thank you for a great post! It has been many, many year since I have read a GLH book....I need to change that! Hi Melanie, good to see you again. Thanks for the kudo. Yes, I agree - it's time to pick up another GLH. Without exception, there's a deep sigh of satisfaction and contentment one gets at the end of her books. It's that reader connection we're all striving for. So far, which one is your favorite? I've added you to the drawing. Oh my, I love your post. I grew up on GHL books. Our library at church had most of them. My favorite was JOY COMES IN THE MORNING. I don't remember exactly why now, but I think it was because of my broken home and divorced parents that I always knew night may be dark, but joy does come with the morning. At age 8, I began riding a bus and then a streetcar to the public library once a week for books, and soon after discovered GHL's books in our library at church. As a teenager I then reread some of them and I think I had read nearly all of her books by the time I graduated high school. Thanks for bring back wonderful memories.She was a light in a dark time in my life. Good morning Martha, thanks for your post. I can see MORNING IS FOR JOY by her daughter Ruth being one you'd also enjoy. Have you read THE WITNESS? Every time I read the scriptural account of Paul holding the coats of the men stoning Stephen, I can't help but remember Grace's book. It was the first novel that made the scriptures come alive for me. I forgot to add that she along with Louisa May Alcott inspired me to put my own stories to paper. I still have some of the old ones I wrote as a teenager. I love Alcott's books, too. In fact, one of my stories for junior high writing class was modeled after Jo. She was my heroine, but she had to ride a horse! She did good, and I aced that class. Not long ago, I found one of my high school contest entries for Seventeen Magazine. What a hoot! It was around the time I was pining over not being the girlfriend of my now husband. Boy, was it filled with angst. I hope yours were romance deluxe! Yeah, my stories were all love stories with teenagers and all the angst that goes along with wanting that handsome boy to notice the poor heroine. Of course they got together in the end, but not without a lot of hurdles and set backs. :) A couple were historical set in the south because I was so into Gone With the Wind when I was in high school. I have a Jo March Collectible Doll designed by Wendy Lawton and I treasure it. It sits on a table in my living-dining area. My handsome boy and I have been married for 48 years. I think back over those pre-married days and it plays out like one of your novels. Our daughter was so into GWTW that we still have a trunk full of her memorabilia waiting to be sent to her in Alaska and their new home. I adore Wendy's dolls. She is an incredible doll maker. I've envisioned her making one for my novel Mansion of Stolen Hearts. I am just now seeing this from the link that Daena Creel put on her Grace Livingston Hill Author page, which I somehow missed at the time. This post is WONDERFUL, and this comment brings back memories of the angst I felt about my teenage heart-throb who ALSO became my husband after many trials and tribulations! I wonder how often God steps in and makes the desires of our young hearts happen! I didn't realize it at the time, but my mother was praying! Said she had the most spiritual warfare over that prayer request of any--and she was a missionary! In graduate school he took me to see Gone with the Wind on my birthday! 4 hours! I had not read the book because I didn't like the ending! I'm glad Jay didn't give up on me, and we were married for 45 years before God called him Home (literally). It was sudden, unexpected, in the middle of great enlargement of the ministry we were leading, but God had prepared me through the sermon in Blue Ruin! I was immersing myself chapter 19 and the sermon it came from ("The Three-fold Law of the Cross" by T. Austin-Sparks) based on John 12:24, and He immediately showed me the why by point #3 in the sermon: Enlargement Through Loss. And how God sometimes asks us to give up our greatest treasure "that the Almighy might be our Treasure." The past three years have proved that true. Hi Vicky, thank you so much for stopping by. I'm a fan deluxe of Grace and her whole family. Her books have gotten me through some tough times, too. How wonderful and priceless to know that Jay is waiting for you. I wish I knew more about heaven for those who are there now, but I'm comfortable believing that Jay may have met Grace and already told her how much her books mean to you. 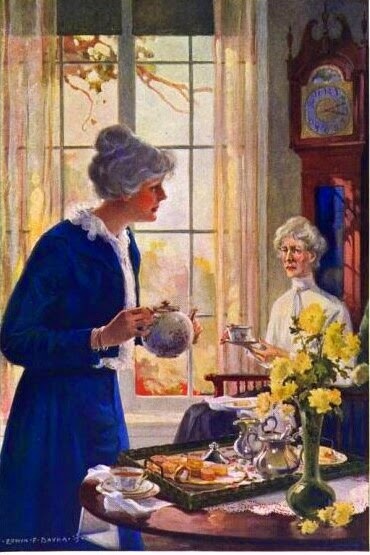 In November 2015 I posted "The Other Livingston Women" - http://www.hhhistory.com/2015/11/the-other-livingston-women.html and in March 2015, "Pansy-Isabella Macdonald Alden" - http://www.hhhistory.com/2015/03/pansyisabella-macdonald-alden.html. I've been asked by a reader to talk about the men in Grace's life. I plan to do that in early 2016. I just pulled "Blue Ruin" from my shelf and took it to my reading table. I'll be thinking of and praying for you as I read it. Thank you again for stopping by. I love your post, Linda! I have not read any of Grace's books, but am eager to remedy that. I'm off to find some right now! Thank you, Britney, glad you stopped by. I'm confident you won't be disappointed. 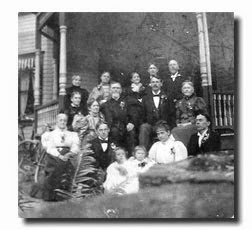 While you're looking for Grace, look for her daughter, Ruth, and her aunt Pansy-Isabella M. Arden. I've added you to the drawing. I have read many of Grace's books, but not all of them. I have several that I really like. The Enchanted Barn and The Christmas Bride are two of my favorites. Hi Susan, appreciate you stopping by. When we were looking for a house here in Colorado, we viewed a barn turned into a house. It was so hard not to consider this property simply because I, too, loved Grace's The Enchanted Barn. The hay loft had been converted into the master suite, but the stairs weren't climbable with a laundry basket in hand. 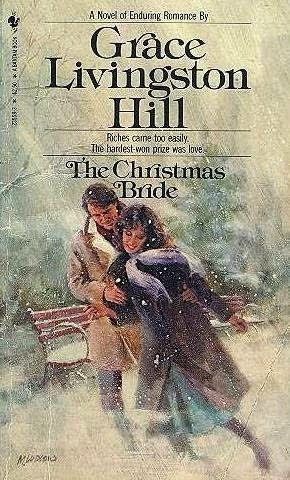 Jerry and I re-read The Christmas Bride each year along with watching White Christmas as part of our private Christmas tradition. I've added you to the drawing. I haven't read any of her books, but intend to remedy that. The thing that struck me as amazing was the fact that she published a 100 books. Think about that. 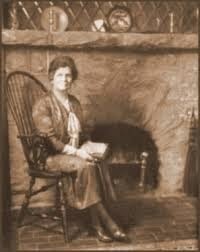 She wrote a 100 books BEFORE COMPUTERS OR EVEN ELECTRIC TYPEWRITERS. Can you imagine? Hi Margaret, isn't that remarkable. It is hard to imagine. I haven't come across any mention of her having a secretary or typist. I suspect that in the last couple of years in her life she may have had that advantage, but apparently not for the majority of her books. I remember having to send "clean" copies on "onion skin" weight paper to the publishers. I rejoiced over Wite-Out correction fluid. My most cherished birthday gift was the electric memory typewriter with the 2" strip "screen" with a correction strip feature. I thought heaven was coming down early. When Apple's 2E hit the consumer market, I haven't looked back. What did you start on? Hey Patty, good to see you again. Thanks for stopping by. I hope you'll refresh your memory - and soon. The Witness would be a good read. Grace skillfully wrote the plan of salvation in each of her books except one. Her publisher required that she not put that element in again if she wanted to keep writing with them. This was after tremendous success as a writer for them. She agreed and kept the high quality of her writing for that book. However, the complaints from her readers, plus the dismal sales, caused the publisher to relent and told her to "write them her way." Her sales soared with the next book. I've added you to the drawing. Thanks for sharing about one of your favorite authors. It's always fun to hear who people like, and why. Hi Amber, thanks for dropping in. My dear, you are in for a treat. Try "The Witness" and see what you think. Grace might be a good topic for your "Today in Christian History" on April 16th-her birthday. I have heard of Grace and may have read some of her books,, but it would have been years ago when I would visit the library with my children for BookIt challanges. This was very interesting, thanks for sharing. Hi Deanna, thanks for stopping by. I hope you'll pick up one of hers on your next trip to the library. I've spent so much time in the library for research purposes that I'd forgotten the joy of browsing for pleasure. I go every Wednesday now just to see what's new and catch up on old favorites. Let me know which Grace you've chosen to read. I've added you to the drawing. Hey Heidi, so good to see you again. Thanks for stopping by. Where Two Ways Met and Bright Arrows were written the year before she died. I enjoy the contemporary nature of her books. I started to say - a sweeter gentler time - but I remembered we were at war. Where Two Ways Met - "Loved by two beautiful and very different women, a young man is forced to make the hardest decision of his life." Her story lines are timeless. I've added you to the drawing. 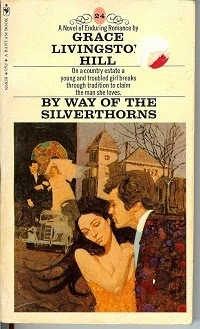 The first GLH book I read was BY WAY OF THE SILVERTHORNS in high school (many years ago). I can still remember parts of that story. But the biggest surprise to me was when one of the young men spelled out the way of salvation to the vampish girl (I guess she was the villain!) who was trying to entice him with her charm. Instead, she considered what he said and got saved! It was exciting to realize that all Grace's books were Christian books, and I read quite a few after that. Hi, Donna thanks for stopping by. It's good to see you again. Have you read "More Than Conqueror"? Lincoln Silverthorn and Luther Waite are in that book also. Grace had a subtle, seamless way of giving the plan of salvation in her stories. It was so natural and not preachy. You're right they are exciting reads even in our "modern" times. I've added you to the drawing. I'll have to look up "More Than Conqueror." I didn't realize the Silvertorns had a sequel! Thanks, Linda. 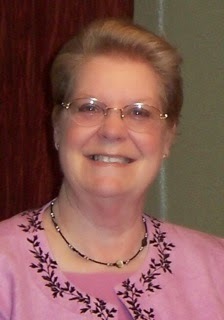 Thanks, Linda, for sharing my websites, gracelivingstonhill.com and elhenry.info. I've been a Grace Livingston Hill reader for decades and the websites are a labor of love. I think it's just amazing that her books are still read and cherished over a century later. There is a lot of Grace in "The Obsession of Victoria Gracen" and in all of her books, so to read her is to know her. I hope lots of your own followers will stop by and take a look! Hi Daena, thanks for stopping by. You're most welcome for the shout-out. Your site is a joy to explore. I'm looking forward to your upcoming book about Grace. Your newly discovered research will be an amazing addition to what we know about her, and I bet some insights about her family of writers/artists as well. Thank you for your labor of love. Thanks, Linda for writing about one of my favorite authors. I have been reading Grace's books for about thirty years, and they have always been a comfort and an inspiration. I also like Daena's site- she is such a wealth of information about Grace. I was directed to your website through a link on a Grace Facebook group page. Hi Megs, thank you so much for dropping by. I'm glad you followed through for a visit. Daena is working on a book that will have some new insights from her research. I've added you to the drawing. I loved seeing this interaction with Daena Creel, who I have come to love dearly as a kindred spirit! I am so glad, too, that my husband Jay and I had a couple adventures with her and her husband Dave, tramping through Philadelphia! What fun! Such great memories, too, of meeting Grace's grandson Robert Munce, on Grace Livingston Hill Day on October 6, 2012, little knowing that three months later, to the day, would be Jay's first full day in Heaven! I was so depressed this morning (knowing I should be resisting it and not caring to), when I found this post through a post on Daena's FB page this morning about her GLH Author page on FB. I went over there and found I had missed checking her link to your post some time ago. I must say God has used Grace (and the people who love her) to bring me out of the doldrums yet again! PTL! This is such a wonderful post and I really enjoyed reading about Grace Livingston Hill. I read many of her books, when I was young, but don't remember the titles. I've recently thought that I should go back and read her books. Thank you for such an interesting article told with humor. Thank you, Kay, I appreciate the kudos. I'm sending you a straight list with a column to check off the ones you read. See if your library has "The Witness" - a great one to start with. I forgot to say, I added you to the drawing. I've read a number of Grace's books. To me, she is the Georgette Heyer of Christian fiction. One of hers that was ridiculously sweet and stays with me is The Enchanted Barn. I see it's on your reading list for the year; you'll read it with a growing smile. Hi Linore, The Enchanted Barn is one of my favorites, too. I'm re-reading Matched Pearls right now and it reminds me so much of my college days and the attitude of the professors/academics toward Christians. Alas, not a lot has changed with the enlightened thinkers. I first read GLH books in 4th or 5th grade. 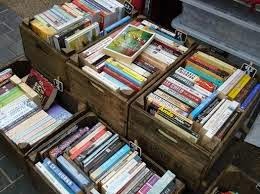 A friend of the family lent us her books a box at a time. Mom and dad were enjoying them and I joined them. Later when I began working, another friend of mine, and a second hand dealer blessed me by finding boxes of her books for my own library. I have all her full length books as well as some collections of novellas and short stories. My favorite fiction author. Hard to pick favorite books, but I just finished Partners and In Tune With Wedding Bells. Glad I found your blog.